Now that you know what to bring to cheer a race, you need to do the actual cheering! I’ve assembled some tips, based on my own volun-cheering experience. Let me know if you have any additional tips you think I should add! Look at the course map in advance. Try to find a spot that is far from any designated “spectator zones”. Remember, you’re here to fill those gaps in friendly faces! See if you can find a spot near porta-potties (they’ll usually be shown on the course map), and get there early. You’ll have more time to drink your morning coffee and flush it out before the runners come through! If possible, visit your cheer spot in advance. 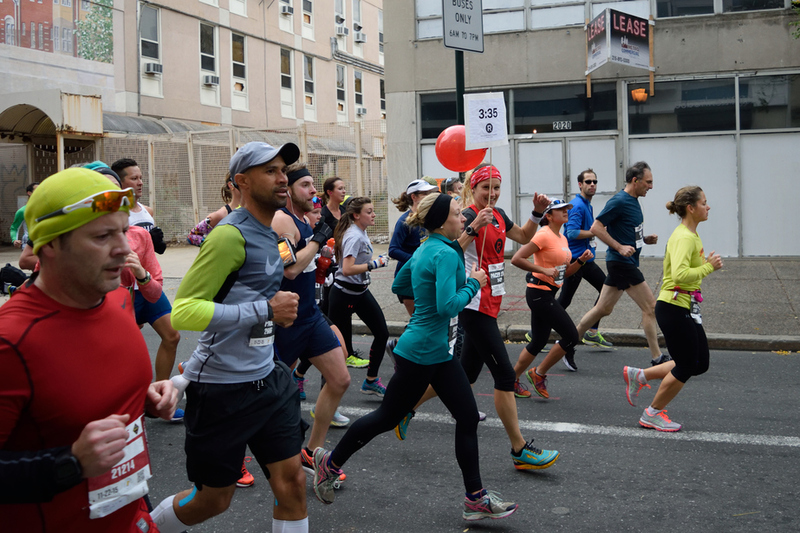 Make sure it’s pedestrian-friendly and you know the best way to get there on race day. Stay out of the way. You can offer a runner a high five, but don’t stick your arm in somebody’s face and be intrusive. Those who are interested will gladly run over and slap the crap out of your hand! Don’t pester a runner who is having a bad day…unless they’re looking for a boost. You’re guaranteed to see a few walkers who didn’t intend on walking. Either they’re undertrained, or they went out too fast, or the heat got to them on an especially hot race day. If this person is looking at the ground with a pained expression and clearly in no mood to chat, then do not engage. There’s a good chance that telling them “Come on, run!” is not going to make them run, and it’s certainly not going to make them feel any better about themselves. However, if the walker makes eye contact with you, and half-smiles, or gives any indication that they’re receptive to your support, feel free to clap it up and offer a high five. Tell them they’re looking great and they’ve got this! If you show up at the very beginning of a marathon, you’ll see a lead pack of elites, followed by a bunch of other fast runners. These folks don’t need to be told things like “You’re going to finish a marathon!” They know they will. They’re also very unlikely to high five a stranger. Don’t take it personally – some of them are trying to qualify for other races by finishing within a certain time limit, and every second counts! On the opposite end of the spectrum is your wave of walkers. I’m not talking about one person out of 30 – this person is probably just having a bad day. I mean that 50% or more marathoners you see are walking. They’re shooting for a 6+ hour finish time. 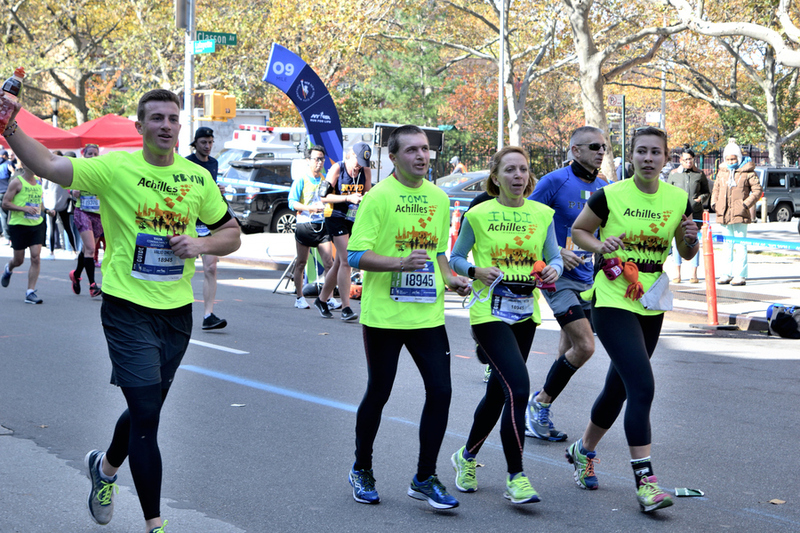 They’re your first- or second-time marathoners. Or they’re back at it after a long period of injury. The idea of just finishing the race is exciting to these folks, and they can use all the support you can offer! Tell them they can do it. Convince them that they’re going to be marathoners. Make them understand how good that medal is going to look around their necks! Every field of runners is different. Sometimes it’ll feel like you’re talking to a brick wall. Other times the crowd energy will be palpable. That’s out of your control. The fact is – marathons are hard, and the people running them have no obligation to smile and pretend it’s easy. Race day is about them, not us. But the things that are in your control – your attitude, your intentions, and your words – will help you make a positive impact on any runner’s race day experience. Try to keep your playlist clean. No excessive swearing or anything like that! I usually opt for danceable tunes. In particular, I like to use one continuous track consisting of electronic remixes of popular songs, so there’s no gap between tunes. An example of this is here. You can even dance to the music if you want to turn some heads (in a positive way!). You could also go the nostalgic route – 70s classic rock, 80s hip hop, 90s alternative, etc. Feel free to play your awesome air guitar, or use your awesome imaginary turntable. Sing along from time to time! Get into it. Entertain. If you brought a camera, use it! 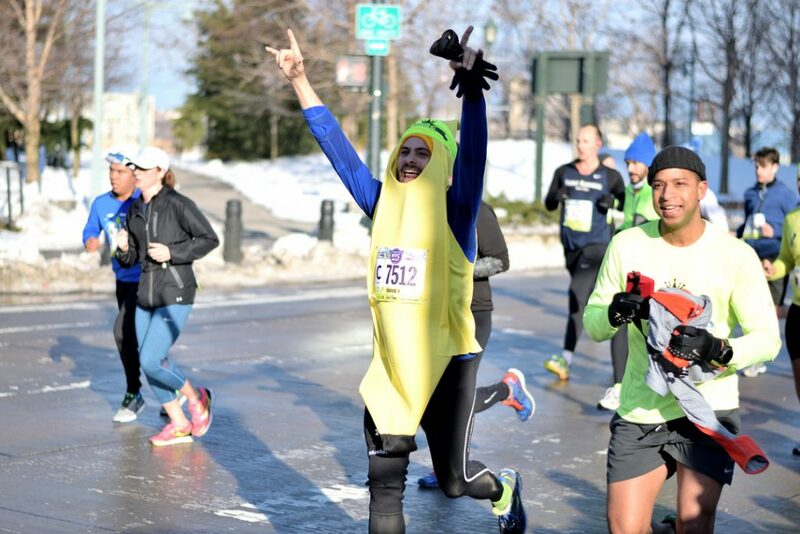 Tell the runners to smile – because who doesn’t love a good race day photo?? If you’re using a DSLR, make your f-number as low as possible (i.e. open your aperture) and try to make the shutter speed as fast as possible without darkening the image too much. The faster the shutter speed, the less blurry your image will be. You might have to change the settings up as the light conditions change, so learn how your camera works and practice! You can also use these photos to spread the Cheer Everywhere love! Share them on social media with the hashtags #Cheer Everywhere and #NoDeadZones.